A charming one bedroom apartment located within a very well-maintained development, affording a superb location and excellent interior finish. 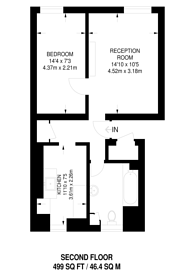 Boasting a separate kitchen, good-sized bedroom and cosy reception room. Portpool Lane is a secluded residential development with communal recreation areas, close to Chancery Lane and Farringdon stations and affording easy access to superb city amenities.